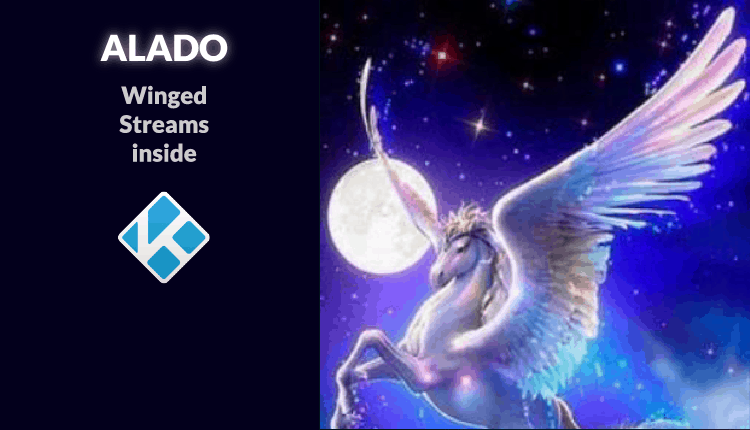 Alado TV is a brand new Kodi addon that has been released to replace its predecessor Alado Addon which stopped working a few months ago. 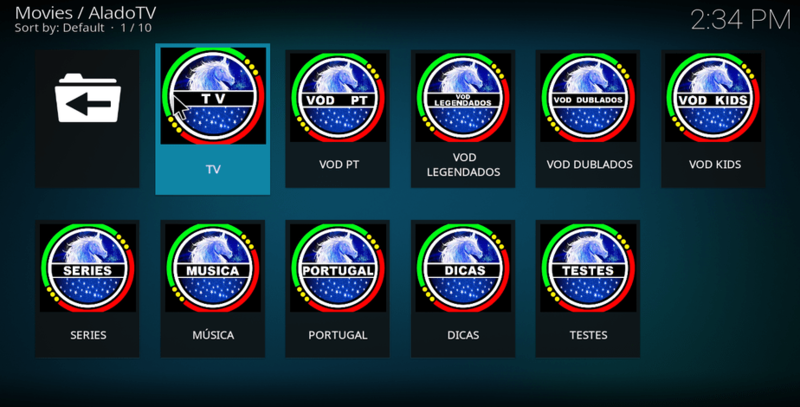 The Addon presents a superb way to watch Live TV Channels from Portugal, Brazil, USA, and the UK. It also has lots of on-demand video content that includes Movies, TV Shows, Kids shows, Sports and much more. This is one of the easiest and best addons to install, and in this guide, we’ll show you How to Install Alado TV Kodi Addon. To make the process simpler, we have divided the process into parts and added screenshots where convenient. So, please make sure you don’t miss any part and step. Alado TV is a third-party Kodi addon, and using it can get you in trouble with your ISP and even government. The streams that you get with Alado TV do not belong to the addon developer. Rather, they are scraped from public resources and in most cases, the content is pirated. This means that watching it is a breach of the law as copyrighted content is usually protected. This means your ISP will likely get a DMCA notice for copyright infringement, and they will then forward it to you. If you insist, they can then throttle your internet or forward your activities to the government. To avoid such trouble, we always advise all our readers to use a reliable VPN whenever they want to stream using a third-party Kodi addon. The best VPN for streaming at the moment is IPVanish, and that’s the VPN we’ll recommend that you use. With it, you won’t have to worry about your activities as IPVanish keeps zero logs and uses military encryption standards. Further, it is one of the fastest VPNs, and so you can stream in full HD or even 4K. We have managed to get a special discount for BestDroidPlayer readers, and it comes with a money-back guarantee period and one single account is the necessary to secure many different devices at the same time. After activating your VPN, you can then install the repo and the addon, saffely! 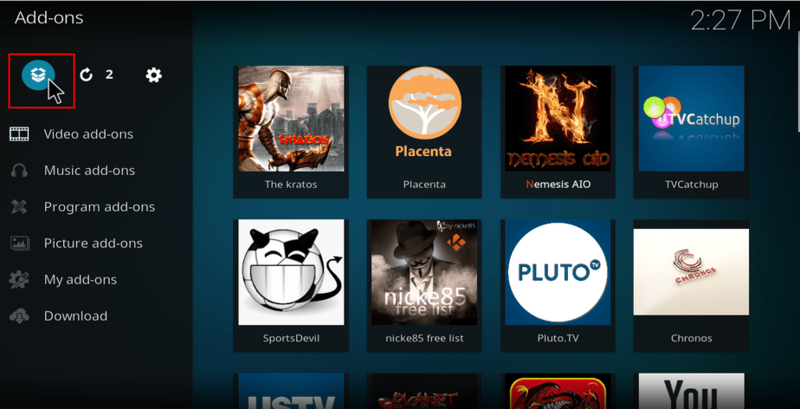 Unlike most other Kodi addons, Alado TV isn’t hosted in any repository. The only way to install the addon is by downloading its package and then installing it directly. Now, navigate to where you have stored the downloaded file. You’ll find the zip file plugin.video.AladoTV-0.1.zip. Double click it. Alado TV Kodi addon should now install. Wait for the installation to complete, and you will receive a notification. Alado TV should now be ready to use. 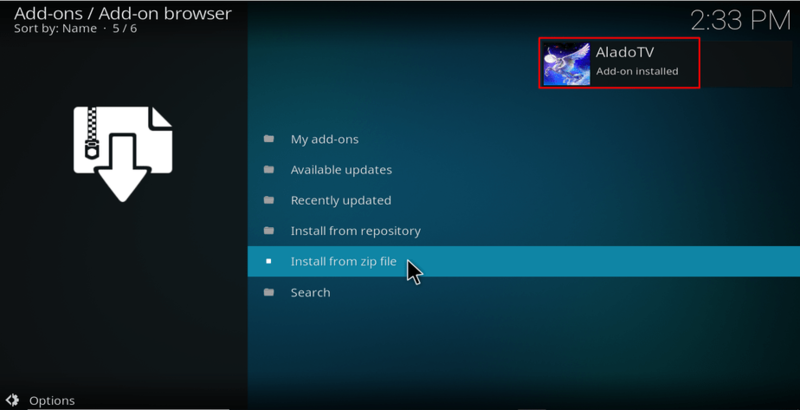 If you followed carefully this guide on How to Install Alado TV Kodi Addon, you’ll find it at Add-ons > Video add-ons > Alado. However, before you can stream anything, ensure that you connect to a Good VPN server like IPVanish. Some of the links provided there are also geo-restricted and will need to you use a VPN and connect it to the required region. In this article you’ve learned that Alado TV is a new Kodi Addon, intended to substitute the old Alado Kodi Addon. This addon allow you to watch Live TV, by giving you access to TV Channels from Portugal, Brazil, USA and UK. The install is somehow different for the usual addon install method, but is simpler too. Finally remember this is a third-party Kodi addon; thus its advisable the use of a Good VPN like IPVanish. If you’d like to know other good alternatives, visit the Best VPN Services review and feel free to chose the one fitting your needs. 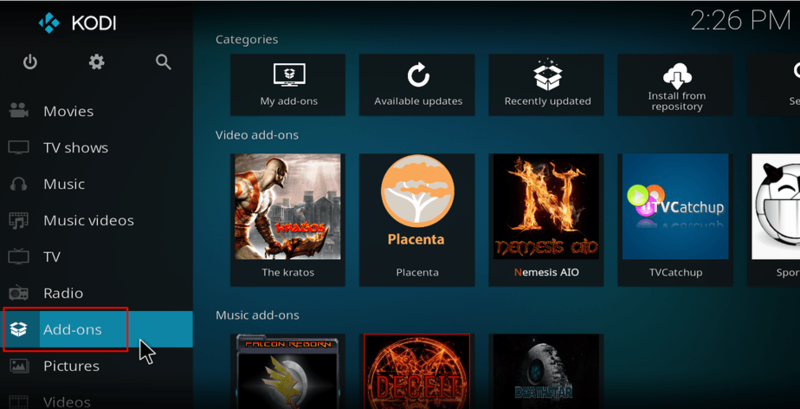 If you liked this How to Install Alado TV Kodi Addon, please share it with all your friends. Disclaimer: BestDroidPlayer is in no way affiliated with Kodi or Medusa Kodi addon, and neither do we promote the consumption of illegal content. The content provided here is only meant to be informational, and that’s why we advise all our readers to use a reliable VPN service for their own safety.